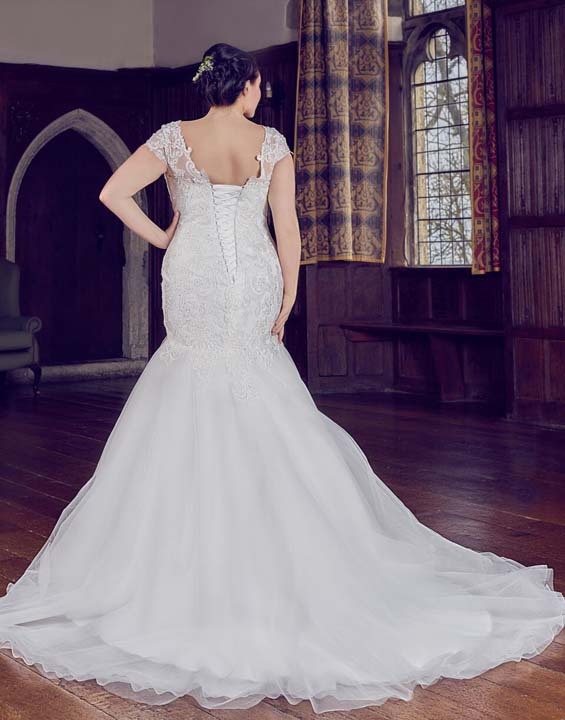 An exquisite plus size figure hugging fishtail wedding dress. Sure to show of your curves and figure. The beautifully hand beaded bodice is adorned with diamante and sequins. Finished with a capped sleeve to cover the tops of your arms.